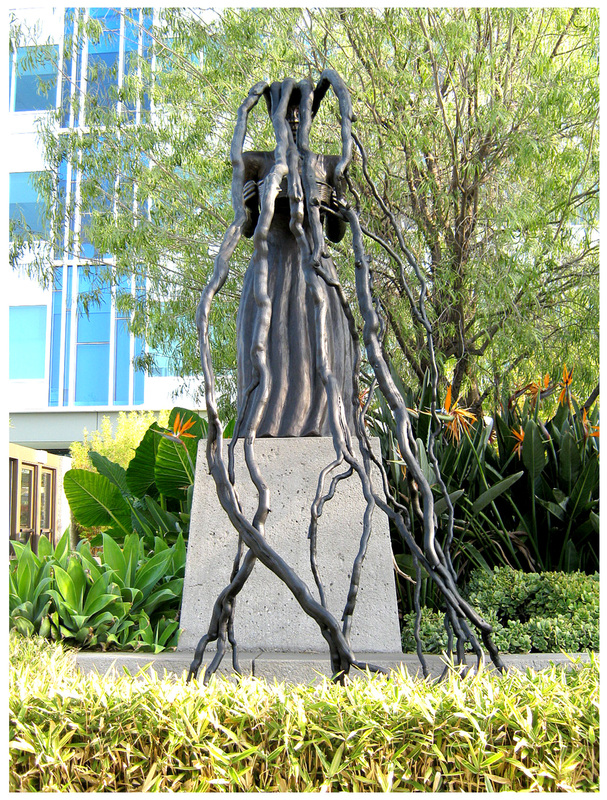 Bronze — more-than-life-size — ‘Conjure’ dominates its space. Surrounded by succulents, tropical plantings and fountains, and elevated as it is, it possesses a mythical quality appropriate to its inspirations. Referencing traditional healers known as ‘root women’, this conjurer presents a basket of healing elements down to the viewer. 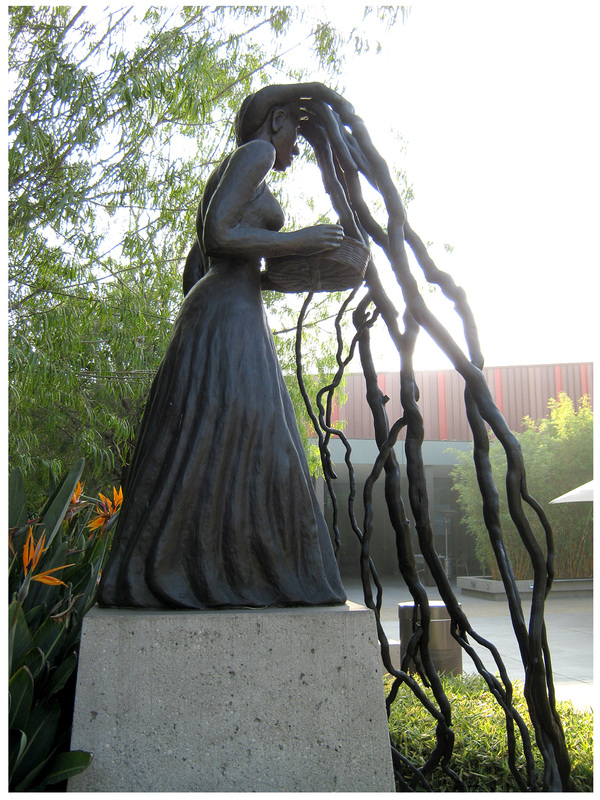 What makes this piece so affecting is the visible manifestation of the source of the healer’s power: the Earth itself … Twining seamlessly, the healer’s hair becomes roots that connect her to the earth … and, her ancestor’s wisdom and history. Saar has worked in several mediums, in styles that reference folk and outsider art, as well as traditional African forms; her work is strong, indelible, and imbued with history and color. But, it’s her sculptural pieces that include figures and root-or-antler elements that are most interesting to me. They’re primal and beautiful, and, at the same time disturbing and thought-provoking. (Click here, and here, for two more examples.) Saar’s mother, Betye, and sister Lezley, are also well-known artists; all three Saar women create work with a focus on the politics of race and gender and with deep historical roots. 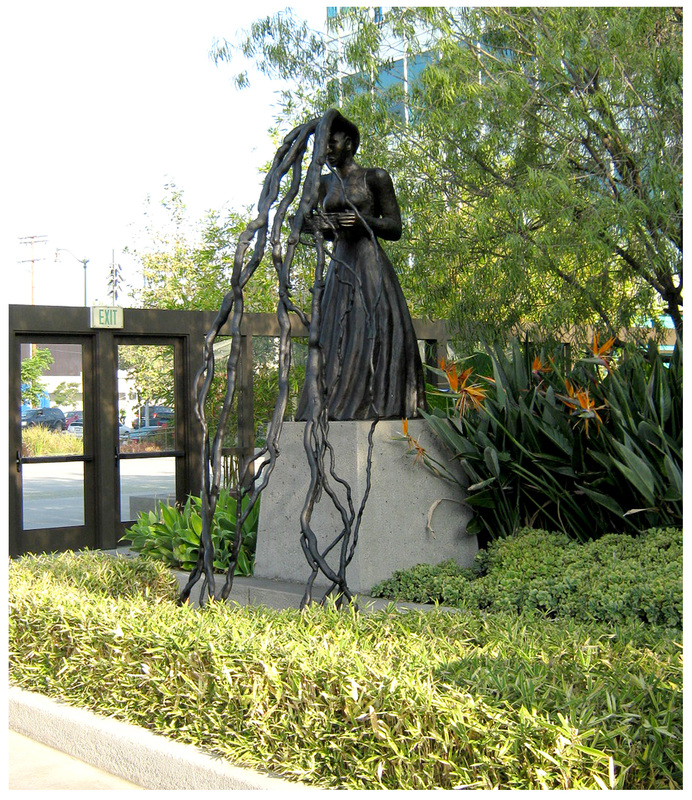 Note: I hesitate to refer to ‘Conjure’ as public art, since to see it requires a security checkpoint visit to view it, and The California Endowment is a for-profit, private corporation. 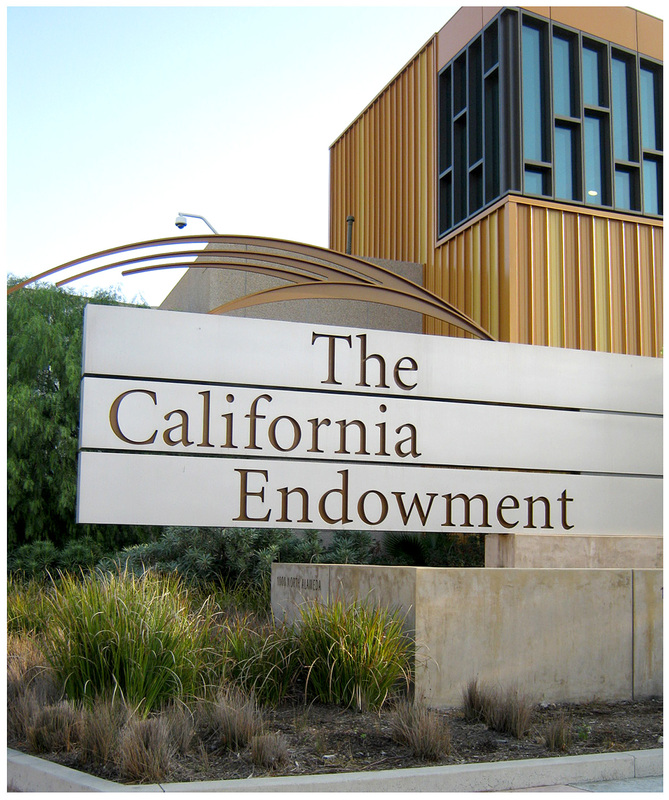 Below is a link to the Endowment, including a phone number for further information. I strongly recommend calling before attempting to visit. This is giving me goose bumps just seeing it in pixels. In person it was almost overwhelming … truly powerful. 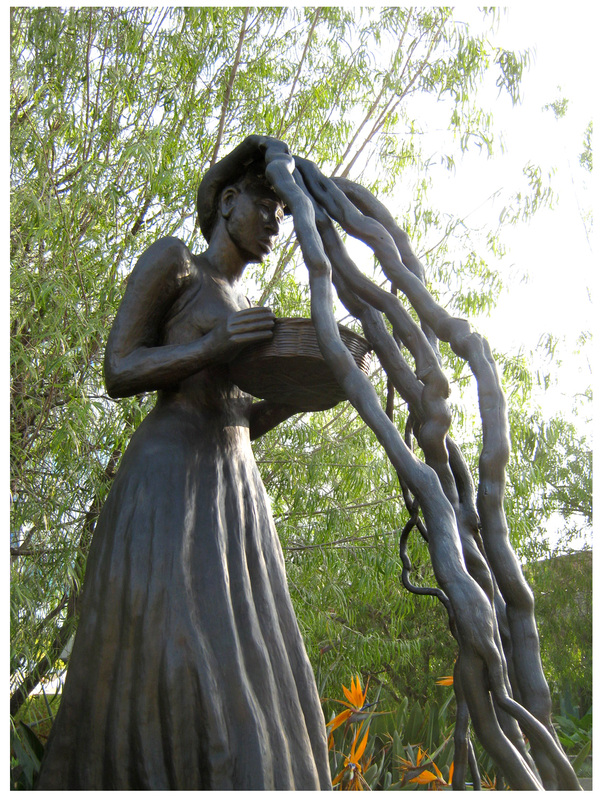 It is a very evocative piece and can be interpreted many ways … thanks for commenting!